The WaSH program is a relatively new focus area of research at IHI. It was started in 2014 under the auspices of the Environmental Health and Ecological Sciences department. The WaSH team conducts research on sanitation for rural and urban households, water quality, usage and water management. The team also provides services on water safety testing and monitoring, as well as evaluation of decentralized water treatment systems. There is also a strong component on capacity building for early-career scientists. 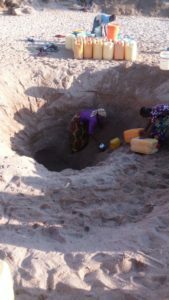 The original aim of the portfolio was to contribute to the overarching need of WaSH related research at institutional level by generating and providing information with potential to inform prevention and control efforts of water borne diseases at in Tanzania. So far, the portfolio has demonstrated significant successes through multiple research grants competitively attracted.